Home Social Intermediaries School. About the Project. Social Intermediaries School. About the Project. We define social intermediary as an expert on preparation and organization of inclusive multi-stakeholder social dialogues in local communities in zones of ongoing or potential violent conflicts. 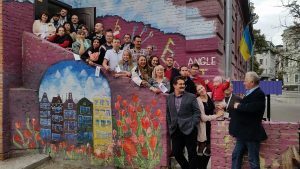 The main problem we address with our trainings is the absence of social practices for conflict transformation via non-violent and non-repressive methods and for planning the common future in Ukraine. The need for this training is caused by the ongoing Russian military and informational aggression against Ukraine. The School started in 2015. During the first year we trained 45 practitioners, during the second year there were 20 students trained, during the third year there were 32 students trained, during the fourth year 18 students were trained. 115 people received certificates of completion of the course so far. 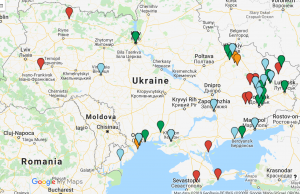 Our students are civic activists, civil servants, educators motivated by previous social conflicts experience related to conflict affected areas of Ukraine (48 locations mostly in the east and south of Ukraine including areas of potential conflicts and occupied territories). The project started within the Ukrainian Peacebuilding School framework. Co-decision making and consensus building practices. Conflict management basics, including forecasting, analysis, prevention and communication strategies. Creating dialogue spaces for negotiations on conflict de-escalation. Basics of social network analysis (both human and electronic sociotechnical systems), dependence of information warfare on social networks. History of Middle East terrorism. Best practices of reconciliation after violent conflict (including Good Friday Agreement, Polish Roundtable of 1989, СODESA negotiations in South Africa). Negative outcomes of peacebuilding efforts in post-USSR space. Past dependence and influence of historical narratives in conflicts (including USA, Poland, Germany and Ukraine). Best and worst case practices of social transformations in post-communist states (Poland, Czech Republic). They created new practices of dialogues and joint activities on community security and sustainable development, integration of internally displaced persons and displaced universities into local communities, psychological rehabilitation of victims of war, peacebuilding education in local communities, cooperation between civil and military. Clubs for discussing local and large scale conflicts and reforms in Ukraine. Lifelong education for informal inclusive learning of languages (Ukrainian, English, Crimean Tatar), conflict management, history, political sciences, human rights. Arts and crafts – collective learning and practicing embroidery; music; folk dolls and souvenirs; sewing; painting; pottery; making and promoting traditional dresses; collaborative street art. Promoting the traditional arts and crafts of national minorities. Dialogue events should include people of different ages and views, to involve people who cannot meet in usual circumstances (e.g. civil and military, citizens and authorities, locals and internally displaced persons). Collaboration is based on co-decision and consensus building. People should leave the dialogue in a good mood, willing to continue the collaboration and share the acquired skills. There should be artefacts created by participants as an outcome of dialogue. Artefacts – various handmade arts and crafts, collaborated texts (plans, methodology, schemas, etc. ), videos, photos. Practices should be easily replicable and encourage replication by participants. Oleksa Tykhyj Avenue – facilitating co-decision of local councils of 5 towns of Kramatorsk agglomeration and Donetsk oblast regional administration to give a name of a human rights activist for main street of each location in and the road between them, 46 km total, two years of negotiaions in 2015-2016. Club «Fajno» – a platform for learning Ukrainian language while practicing traditional embroidery by people of different ages, locals, internally displaced persons and military. Started in Kramatorsk, replicated. Green recreation zones in Severdonetsk , Berdyanks and Kherson maintained by local community as a space for dialogues about life quality improvement in the city. Public spaces – coworkings, social caffes, clubs – created by multi-stakeholder groups to improve communication in local communities in Severodonetsk, Berdyansk and Mariupol. 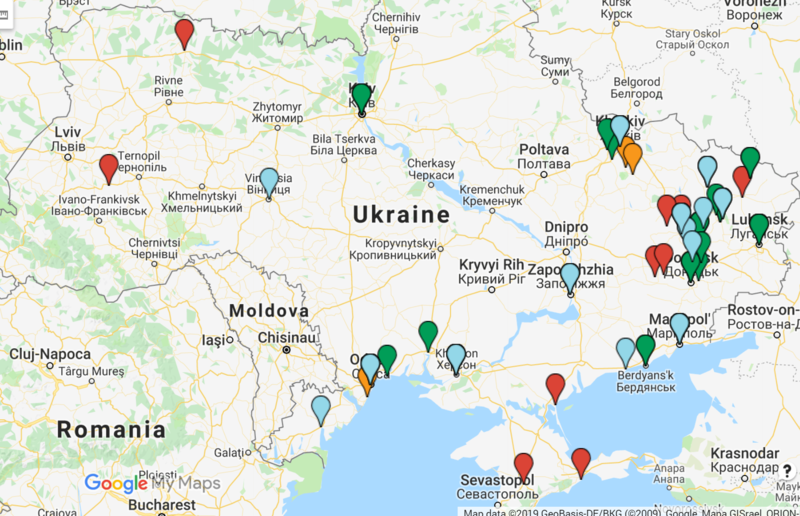 Donbas Ukraine – joint educational center by 17 displaced universities to facilitate education of people, who live in occupied territories and near the demarcation line. Creation of the Donbas Ukraine center was facilitated by Olena Znatkova of Luhansk National Agrarian University, located in Kharkiv. Olena works on her doctorate thesis «Modern participative practices in public administration in Ukraine and worldwide» based on School practices. The main objective of the project is to establish the social intermediary as an innovative institution in Ukraine. Synergy with universities – based on demand from 17 displaced universities we developed special trainings to manage conflicts between the staff of universities and host communities, between the students from Ukraine controlled and not controlled territories, problems with communication between people from occupied territories and staff and students of displaced universities. Trainings developed within the School are included into educational programs of universities as extracurricular activities. Synergy with Ministry of Education and Science – regular communication aimed at developing strategic plans to include the basics techniques of social intermediation in formal education. Relations with the Ministry of Temporary Occupied Territories and Internally Displaced Persons of Ukraine are focused the implementation of the Social Modelling Games and the Classifier of the Social Intermediary Profession. The Ukrainian Peacebuilding School was initially supported by the British Embassy in Kyiv in 2014-2016. Since 2016 the project was supported by the International Renaissance Foundation. In 2017-2018 the project was supported by USAID. In 2018-2019 the School is part of the Civil Peace Service program: “Empowerment of civil society for non-violent conflict transformation with state actors – Project-line ‘Platform for (successful) Nonviolent Activism’”. The project is funded by K. Wustrow – Centre for Training and Networking in Nonviolent Action, within the framework of Civil Peace Service, a program of Germany’s Federal Ministry for Economic Cooperation and Development (BMZ). We are grateful to all our donors!